International broadcaster RTL Group today has named Marc Puškarić as the new CEO of RTL Croatia, effective as of July 1. 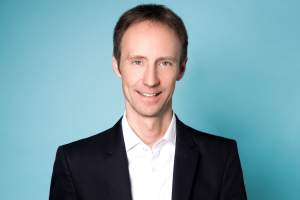 Puškarić, who is currently managing director of Bertelsmann Brazil Investments and the Bertelsmann Corporate Centre in Brazil, will replace Henning Tewes, who is joining Mediengruppe RTL Deutschland as COO programme affairs and multichannel. Puškarić will report to Andreas Fischer, chairman of RTL Croatia and SVP of global operations management broadcast and content of RTL Group. Puškarić will also become a member of RTL Group’s operations management committee. Over the last 15 years, RTL Croatia has grown from one channel into a family of three free-TV channels – RTL Televizija, RTL 2 and RTL Kockica, three pay TV channels – RTL Living, RTL Crime and RTL Passion – and digital services such as video-on-demand platform RTL Play, a music label and a dedicated channel for Croatians living abroad, RTL Croatia World. “Marc Puškarić combines broad international experience with cultural affinity to Croatia. I am delighted that we have found such a dynamic executive from within the Bertelsmann Group to lead RTL Croatia. Together with the strong management team of RTL Croatia, he will continue the success of the company. I warmly welcome Marc to his new role and wish him all the best – and I am very much looking forward to working with him on further strengthening the market position of RTL Croatia,” said Fischer.